Check out our mortgage site options and features. Tired of your cookie cutter website? 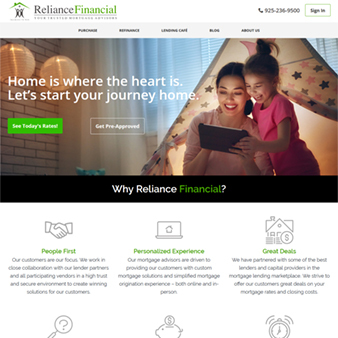 We are a mortgage website design company that offers mortgage websites and mortgage landing pages that look like they were custom built but for a fraction of the cost. Our mortgage websites are fully responsive and compatibile with any type of mobile device. All of our mortgage website designs are engineered to get visitors engaged through lead capture forms, resulting in you getting their information so you can follow up with them. 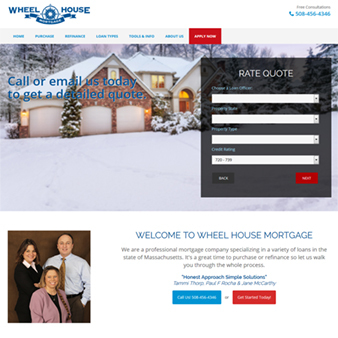 If you have a question about our mortgage website designs or mortgage landing pages, give us a call. Our goal is to have someone available to speak with you. If it happens that we are all busy at the time of your call, leave a message and someone will get back with you ASAP. We focus on giving you superior customer service. custom looking sites advanced rate quoting responsive designs spam prevention that set us apart. Our latest mortgage web site designs are not only responsive and compatibile with any mobile device, but also include retina ready graphics. All of our mortgage website templates include lead capturing forms that can be setup to post to CRM's such as Velocify, BNTouch, Loantek and Mortech etc. We also offer mortgage landing pages for any type of specialized advertising. I just want to send you a letter of thanks. I can't tell you how impressed I am with you and your staff. 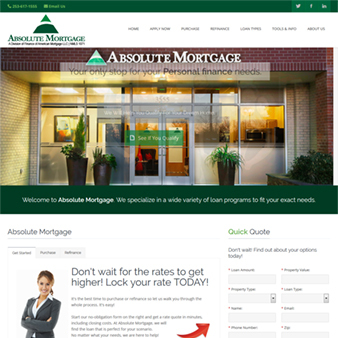 You delivered a high quality mortgage website template at a very affordable price. I was already completely happy with your work ethic but you continue to impress me with your quick responses and your ability to envision what I am trying to describe and put it into action on my site. I wanted to take a moment and recognize your company for the great job you have done with my company's mortgage website design, and also to let you know that Eva your designer has been nothing but pure pleasure to work with. I will definitely use your company for my future endeavors and will be recommending your services highly. Dear Eva: Thank you for your assistance. It has truly been a pleasure working with your group. We are delighted to with our mortgage website and your support. From first hand experience, I can say your competition needs to take lessons from you! !